As an active performing musician with 75% of my gigs being solo (I do roughly 200 gigs a year), I’m always looking for ways to expand my musical offerings either by introducing new material, or adding new gear. A few years ago, I started using a looper, and that changed the game for me; allowing me to solo over chord progressions I’d come up with live. But one thing that I missed, especially for certain songs, was percussion. Enter the BeatBuddy. I’ve been waiting for this to arrive for many months, and mine arrived yesterday afternoon (it’s 1AM PST right now), and I’ve been playing with this pedal for the past few hours. It’s truly amazing! I was impressed with the introductory video, and have been watching the growing number of video demos of various musicians playing with it while it has been in production. But nothing could prepare me for the real thing. I’m so totally blown away, it’s hard to describe what I’m feeling. This is another game-changer for me! First off, it’s super easy to use. You start out with a tap to get an intro fill. The main beat then starts off. You tap another time to get a fill (most have 3 different fills). To change to the chorus, you hold down the pedal for a second or so. 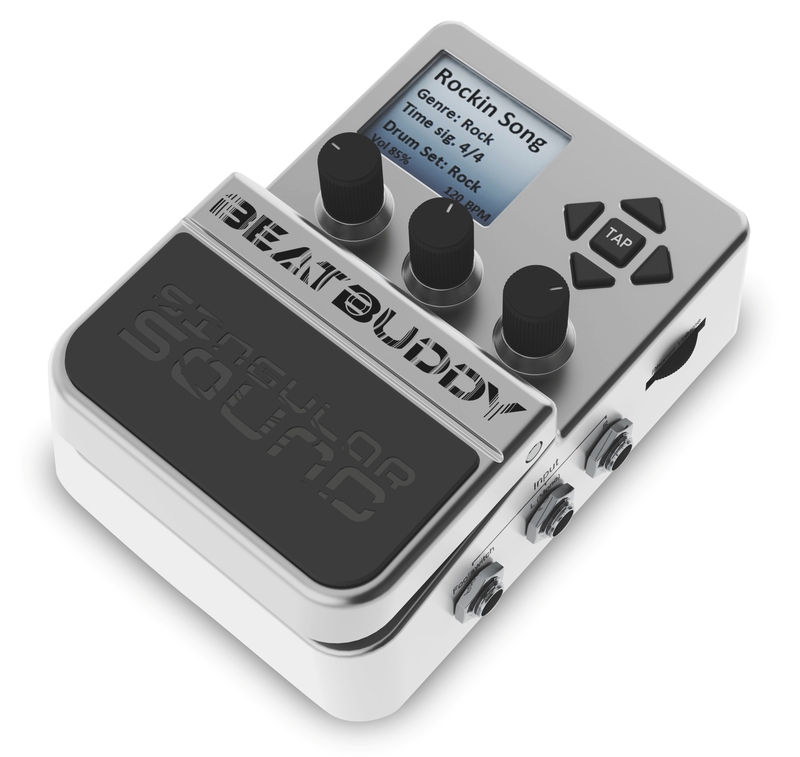 The BeatBuddy then does a lead-in fill, then changes the pattern. You then can tap to get fills in the chorus. To return back to the main pattern, you hold again. Here’s something I quickly put together once I got the hang of it. Excuse the little mistakes I made. I did both guitar tracks in single takes. Admittedly, before I start using this in a live setting, I’m going to have to both practice, and find the right drum tracks for the stuff I play. It’s really not hard to find a track to fit a song, but I do know that I’ll probably want to tweak some tracks to fit some songs. I’m starting to fall asleep, so I’m going to sign off… But please, check out the BeatBuddy web site. Even if you’re not a gigging musician, you could use this just for practice. I know I’m going to do it. It’s better than playing to a metronome because you can add a bit of drama to your playing! 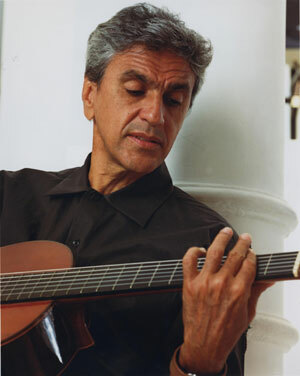 Having been a “feel” player for much of my guitar-playing career, a few years ago, I decided that it was high time I looked at my guitar playing a little more academically. It was driven from this sense that I wanted to better understand what I was playing; and perhaps in the process expand my improv vocabulary. So I started buying books on various topics, and watched a lot of videos. All that instruction was great, but what they lacked in many cases was discussions on strategy – when would you apply those concepts. Most take the safe route with “it depends…” Frankly, that’s actually not a bad thing because I’ve found that how I approach soloing at any given time depends on a lot of factors, not the least of which is how I’m feeling at the moment I’m going to be playing a solo. With respect to modes, I’ve read a lot of articles, and gained a bit of an academic understanding of them. But I’m a learn-by-doing and learn-by-example type of player, and there was always some missing ingredient in the things I read. It wasn’t until I found and watched Rob “Chappers” Chapman’s video on Pitch Axis Theory: Learn Modes in 15 Minutes on YouTube that I started really “getting” modes and how they could be applied. Modal Buddy is an iOS app (they say it’s made for iPhone, but I’ve been using it on my iPad with no problems) that will help you learn modes. It’s not just a reference guide, which to me would be utterly redundant. Yes, it has LOTS of reference material, but the meat of it is structured like a step-by-step learning guide, replete with chapters. I REALLY like this approach because it makes it more like an interactive book, and not just something that says, “Here’s the E Lydian mode, where E is the 4th, etc., etc., etc.” There’s discussion AND examples. The examples are ultra-important in learning modes. What I learned with Chappers’ videos is that each mode has an aural “flavor” if you will, and what I was able to internalize about that is you can evoke certain moods depending upon the mode you apply over the root of a chord progression. And to me, that’s the crux of what modes bring to the table: Moods. So when I started going through Modal Buddy, I was very keen on seeing if the app discusses this. I’m happy to reveal that not only does Modal Buddy capture that sense of moods, it starts off with that discussion as one of the first lessons and keeps emphasizing that in the examples, so you literally can hear the mood that a mode presents. That’s such a huge thing for me because looking back on how I was first presented with modes, everyone taught the spelling of a mode first. Had they shared the root of it, “moods” first, I would have probably started using and applying modes much earlier. As a result, like many, I was intimidated by modes, or relegated them to the “jazz snobs” who seem to live and breathe modes. I’ve only gone through the first four chapters of Modal Buddy, and only scratched the surface with the practice stuff. I’m not even sure how many chapters there are. And though much of this initial stuff is stuff I already know, I have already learned a great mnemonic for remembering the mode names “I Don’t Play Like My Aunt Lucy,” with each first letter representing the modes: Ionian, Dorian, Phrygian, Lydian, Mixolydian, Aeolian, and Locrian. That might be old hat to some, and even though I knew the mode names, I always had trouble remembering which mode went where in the order. That simple mnemonic helps me keep them in the proper order. So what’s the gist of my first impression of Modal Buddy? I LOVE IT!!! At least from what I’ve seen thus far, Modal Buddy combines the best of both worlds: Theory and Examples in one straight-forward and easy-to-use learning guide. And I will say this: Even before I do a full review and breakdown of the app, I recommend you get it. It’ll be the best $4.99 you’ve ever spent. Doesn’t matter whether you’re a beginner or a seasoned veteran. The examples alone will help train your ear to hear the modes in different settings. Speaking of “hearing” modes, I was curious to hear the Locrian mode. It seems to be the least presented in the discussions and videos I’ve seen. But when I heard the example, I realized I use the Locrian mode – a lot – especially when I’m playing over minor blues progressions because of that diminished, sad sound you get out of it. I had no idea I was using it until I heard an example in Modal Buddy. By the way, the modes are played over actual backing tracks. That’s HUGE in understanding and internalizing modal theory. A few years ago, while I was on vacation just on the outskirts of the Portland metropolitan area, and on my way to the Oregon Coast, I happened to stop at a little music store to see what gems they might have (remember, I picked up a gorgeous 1981 ES 335 in a music store in a little town in Northern California). Well, making that stop was fateful because I found the VHT Special 6, a point-to-point, hand-wired, 6 Watt powerhouse that knocked my socks off! Once I got home, I recorded this song with the amp, using my Les Paul ’58 Historic Reissue. It’s called “Beauty and the Burst,” and it’s a rocker. The song itself is nothing technically masterful, but when I heard it again after all these years, I had to smile and ask myself, “Where the hell did you pull that one out of?” Enjoy! As far as other gear is concerned. I ran both guitars direct into my Aracom VRX22 then out to an Aracom DRX attenuator, then through a custom 1 X 12 with a Jensen Jet Falcon speaker. I added delay and reverb in my DAW.